PianoArts Gala and fundraiser this Friday features virtuoso players. On even years in June, Milwaukee hosts young pre-professional pianists, ages 16-21, for the PianoArts North American competition. The reputation of that event has grown among those on the competition circuit, as evidenced by the strong field last June. This Friday evening, PianoArts offers a fund-raiser and concert to support the work. Between those events, the best of the competitors are encouraged to return to Milwaukee to play. I recall memorable public recitals. 2014 winner Carmen Knoll has wowed audiences on two occasions. 2016 winner Aristo Sham played a brilliant recital at the Sharon Lynn Wilson Center just last Fall. Return recitals are sometimes delayed as these young players continue their academic studies. During the 2016-17 season, Fellows John Schindler and Aleksandra Kasman will give over two dozen performances for Milwaukee area schools, churches, and community centers. Hong founded the Mercury Musicians, a Baltimore ensemble that frequently plays works Hong has arranged for chamber groups. This practice was common in Beethoven’s time, when one was more likely to hear classical music in a home than in a concert hall. 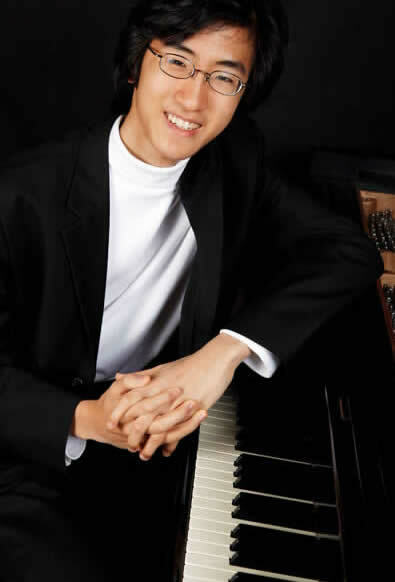 Hong has been praised by the New York Concert Review for his “excellent combination of virtuosity and musicality” and “clarity, confidence and wisdom.” He has been awarded several international prizes, and has been featured as a guest soloist with the Milwaukee, Fort Worth and Camerata New York symphony orchestras. The public concert will follow a fund-raising event for Piano Arts, featuring additional performances to support the 2018 PianoArts North American Competition. The gala will open with a Prelude Concert, a musical salute to Vienna’s dazzling artistic life. Performing will be concert pianists Stefanie Jacob and Jeffry Peterson; the 2015 Wisconsin Youth Piano Competition first place winner, Michael Wu; Tanya Kruse, soprano; and 2017 PianoArts Fellow John Schindler. A banquet will conclude the fund-raising portion of the evening. In alternate years, PianoArts offers a competition younger pianists, ages 10-16, living in Wisconin. The 2017 Wisconsin Youth Piano Competition, in collaboration with the Milwaukee Symphony Orchestra, will be held this June 16-19 at the Wisconsin Conservatory of Music. Frankly, although nurturing budding pianists is an important mission, this competition attracts a much smaller audience. The North American Competition, however, is one of Milwaukee’s secrets – a chance to witness some great piano playing offered by budding professionals eager to show their considerable skills. These are rising stars we can continue to follow in the years ahead. Those who wish to support PianoArts are invited to start their evening Friday, April 28 with a fund raising concert and banquet beginning at 6:00 p.m. It will be held at the Women’s Club, 813 E. Kilbourn Ave. in downtown Milwaukee. Otherwise, the recital begins at 8:30 p.m. at the same place. The full evening will cost $125. The 8:30 p.m. recital costs $35 for adults and $15 for students. Reservations and further information may be made online at PianoArts.org.